Fits between 4" and 6" square, or > 4" up to 6" x 6" H beam, or up to 6" round columns. 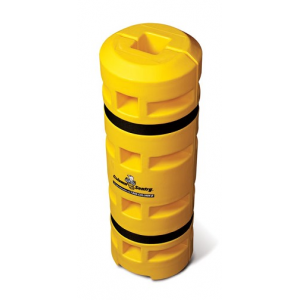 14" OD x 42" H.
Rotationally molded from low density polyethylene. Weatherproof, chemical resistant and UV stabilized. Bounces back impact after impact.